The Chairman and CEO of PPA S.A., Mr Yiorgos Anomeritis expressed today at the meeting of the Directors Board his satisfaction about the decision by the European Commission for approval of the project of expanding the southern port cruise with cofinancing from Community, national resources and own funds of PPA. 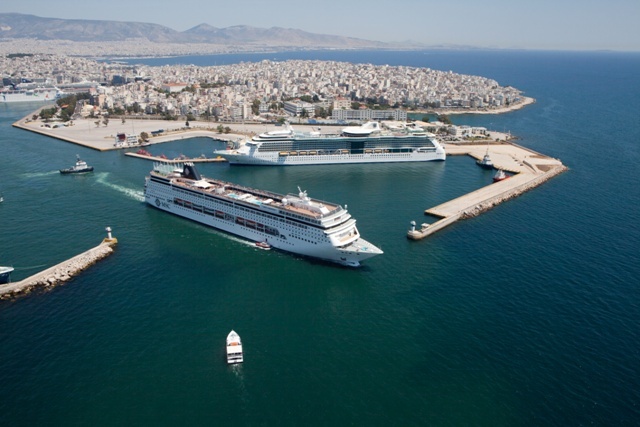 (c) has been launched by the IMA of ROP Attica, is a key project for converting the port of Piraeus into a cruise hub of the Mediterranean. The expansion of the cruise port for new generation ships (over 300 m) is a mature project with comprehensive studies, which customized techically can be completed within the current programming period. This work and its approval have enormous significance for the entire port system in the country, because after the suggestion of the DG Competition and the approval of European Commission, there is an institutional "pilot" to build ports with state aid and EU funding. The most important part of the approval is certainly the financial part of the proposal: The Commission approved state aid amounting to 113.9 million euros, of which 96.9 million are financed by the EU Structural Funds. This means that for the project budget of EUR 120 million (undiscounted) the 96.9 million financed by the E.U., 17 million are national contribution and 6.1 million private contribution of PPA S.A. The aid rate stands at 95% and is probably the highest level of support received port in Europe, as a result of the substantiated positions of PPA and National Authorities. As Mr. George Anomeritis said: "This decision brings 120 million in Piraeus, enhances the Greek cruise, vindicating our efforts to transform the port of Piraeus into a Gate of Tourism and Culture. We should thank the Ministry of Finance and his executives, the Ministry of Marine and Aegean, the Region of Attica, the executives of PPA and his associates, officers of the Task Force for their help and of course the Commissioners and their partners for this decision. "